The stunning fall in oil prices, from a peak of $115 per barrel in June 2014 to under $35 at the end of February 2016, has been one of the most important global macroeconomic developments of the past 20 months. The sharp fall is broadly similar in magnitude to the decline in 1985-1986, when OPEC members reversed earlier production cuts, and in 2008-2009 at the outset of the global financial crisis. Understanding the underlying causes of price drops is essential to interpreting their macroeconomic effects. The 1985-86 decline was mainly supply-driven, while the drop in 2008-2009 was almost entirely due to a collapse in demand. The recent price decline appears to be a mix of the two. Slowing growth in emerging markets, most importantly in China, has led to sharp drops in commodity prices almost across the board. 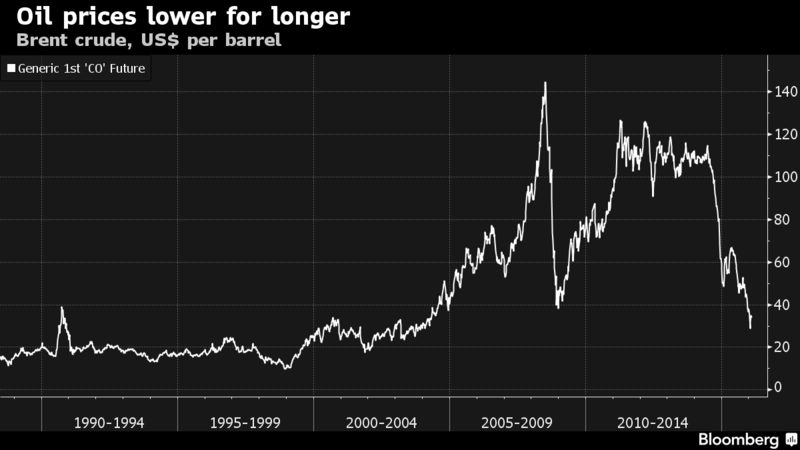 The drop in oil prices, however, has been significantly steeper than in metals and food. The magnitude of the differential is one important metric that suggests that rising supply has been at least as important as falling demand; most mainstream macroeconomic models suggest that the effect on global GDP has been a net positive, on the order of 0.5%. This is significant, but less than past experience might have suggested, though the effect may prove larger if the decline persists. There appear to be three reasons for this lower impact on global GDP. First, although the oil price decrease has been largely passed on to consumers in advanced countries, there has been much less pass-through in the rest of the world. Many governments – for example, in China and India – have taken advantage of the decline to reduce subsidies on fuel consumption and thereby strengthen their fiscal position. A second reason is that, normally, a supply-driven oil price decline raises world demand by transferring resources from high-saving oil producers to consumers with a higher propensity to spend. This channel, however, has been muted, as major oil producers have faced pressures to increase spending, and as consumer countries continue to repair balance sheets from the financial crisis. Third, the collapse in oil prices has led to a major short-term drop in investment in the oil industry, with global investment in production and exploration falling from $700 billion in 2014 to $550 billion in 2015, with spill-over to energy commodities. Sharp declines in investment in other commodity sectors have also contributed to overall slow global growth. There is no question that the oil price decline has been a significant contributor to the financial market volatility of the past year. Can the impact worsen? A primary concern is the a cycle of deteriorating financing conditions for oil companies and oil exporters. Countries that are heavily dependent on remittances from citizens working in oil economies are also at risk. So far, exchange rate flexibility and (for some countries) a large cushion of hard currency reserves have helped in avoiding an outright financial crisis. But if the low price is sustained, important oil producers will become increasingly vulnerable if they are unable to make the requisite fiscal adjustments to a lower price trajectory. The recent episode underscores that over the longer term, it is important for oil exporters to diversify their economies and sources of fiscal revenue in order to decrease vulnerability to oil price volatility. For oil-importing advanced economies, the price decrease is a welcome stimulus, and provides an opportunity to strengthen fiscal resilience against capital outflows for many emerging markets. It is a clear boon for Europe and Japan, albeit more mixed for the United States which is both a large consumer and a large producer. Regardless, it is important for policy-makers to continue policies that strengthen the long-term growth potential of their economies. Although futures prices suggest that oil prices will rise only moderately over the next four years (to just over $47 as of Feb 21, 2016), it is important to prepare for the fact that oil prices can rise in the future just as sharply and unexpectedly as they have fallen in the past.